After years of toiling in law school, every graduate must first ace arguably the hardest test in the Philippines before dawn rises on their dreams. While the Bar examination is known to be a back-breaking feat in itself, the true challenge lies in the hectic years spent swapping sleep for another page of a verbose case. Law schools are notoriously known to be grounds where only toughest and most determined survive -- let alone thrive. The daily grind for students consists of countless readings, shuddersome professors, nerve-wracking recitations, and pressure-packed written exams. The Philippine Bar Examination is the professional licensure examination for lawyers in the Philippines. The exam is exclusively administered by the Supreme Court of the Philippines through the Supreme Court Bar Examination Committee. The first Philippine Bar Exams was conducted in 1901 with only thirteen (13) examinees. The third Philippine Bar Exam took place in 1903 but the results were released in 1905. José I. Quintos obtained the highest rating of 96.33%, Sergio Osmeña, Sr. was second with 95.66%, F. Salas was third with 94.5% and Manuel L. Quezon fourth with 87.83%. 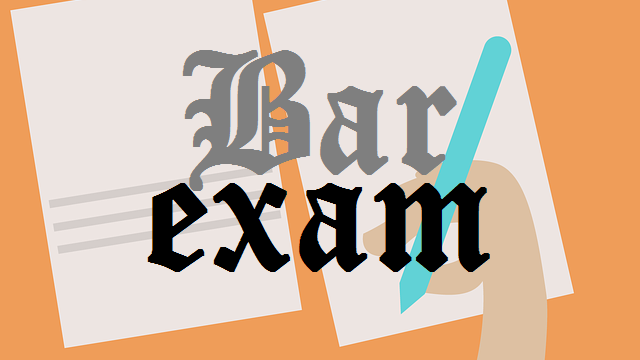 The first bar exam in 1901 has only 13 examinees, while the 2008 bar examination is the 107th (given per Article 8, Section 5, 1987 Constitution). The 2016 bar exam had the highest number of passers 3747 out of 6344 (59.06 percent) examinees, However, the Supreme Court of the Philippines' Office of the Bar Confidant announced that (a new and official record of) 7,227 candidates will take the 2017 Bar examinations.